Knife skills are one of the most important parts of the culinary arts. 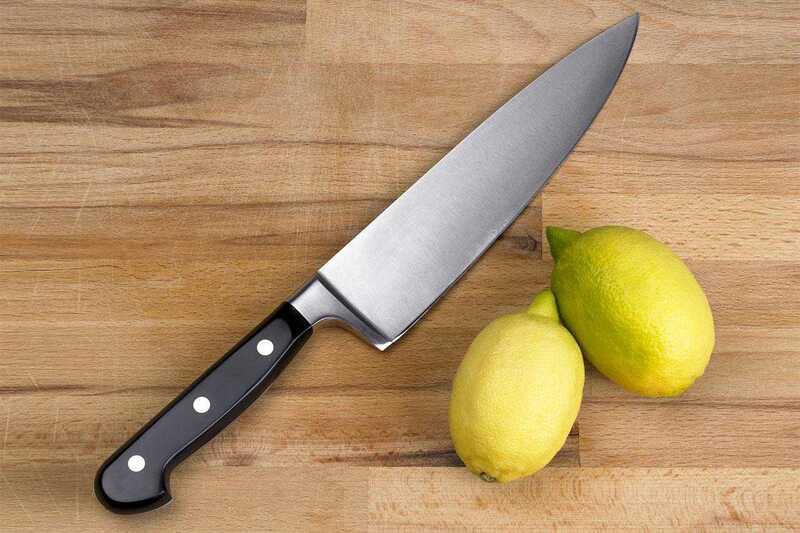 These articles, tutorials, and how-tos will help you practice your knife skills. The chef's knife is probably a cook's most important tool. And given the amount of time it spends in your hand, it's definitely worth making sure you have a good one. Here's a quick tutorial on the various parts of a chef's knife, what they do and why they're important. This tutorial will cover the correct way to hold a chef's knife, and how to grip the food with your other hand to avoid cutting yourself. Chopping an onion is one of the most common kitchen tasks. This illustrated tutorial shows how to chop an onion the fast, easy and safe way. Good knife skills help improve the quality of the food you cook by ensuring uniform cooking times and making it look nicer. Check out these illustrated examples of all the basic culinary arts knife cuts. Want to see examples of all the basic culinary arts knife cuts and shapes? This photo gallery highlights nine common culinary knife cuts including the bonnet, allumette, julienne and more. The word batonnet, (pronounced: bah-tow-NAY) is a basic knife cut measuring 1/2 inch × 1/2 inch × 2 1/2 to 3 inches. This long and thin cut also forms the starting point for the dice cuts. For example, to make the medium dice you'd start with the batonnet and just trim down into cubes. The word allumette is French for "matchstick," and these slender knife cuts are perfect for lending a touch of elegance to soups, salads, and other vegetable preparations. Similar to how the batonnet is used to create medium diced cubes, these long and thin cuts also form the starting point for the dice cuts. For example, to make the small dice, you'd start with the allumette and just trim it down into cubes. 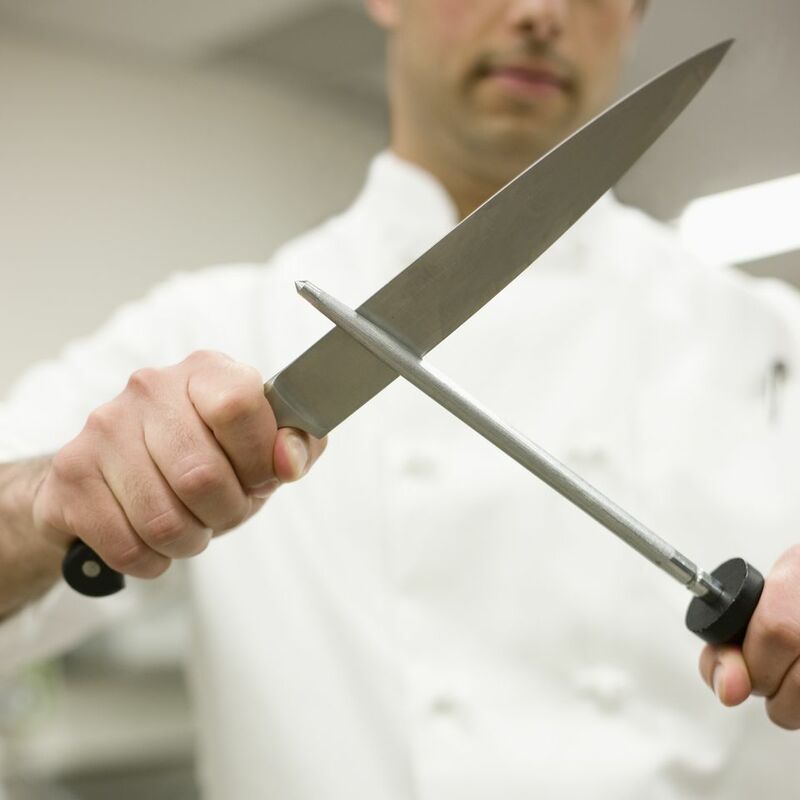 Keeping your chef's knife sharp will make your job in the kitchen easier — and safer, too. That's because when you're using a dull knife you have to apply more pressure than you would with a sharper blade, making the knife more likely to slip. Learning how to sharpen your knife with a whetstone may take a bit of practice, but once you get the hang of it you'll be able to keep knives razor sharp and save time and money. Also, check out this video on using a whetstone. Using a knife steel, also called a sharpening steel or honing steel, helps align the knife's edge so that it cuts smoothly and easily.